Bluefin SUPer Kerry Singleton loves her Cruise! Here she tells us how a preference for SUPs over diamond earrings got her into standup paddleboarding. She also shares her journey into cold water paddling and gives you first hand advice on how to follow suit. 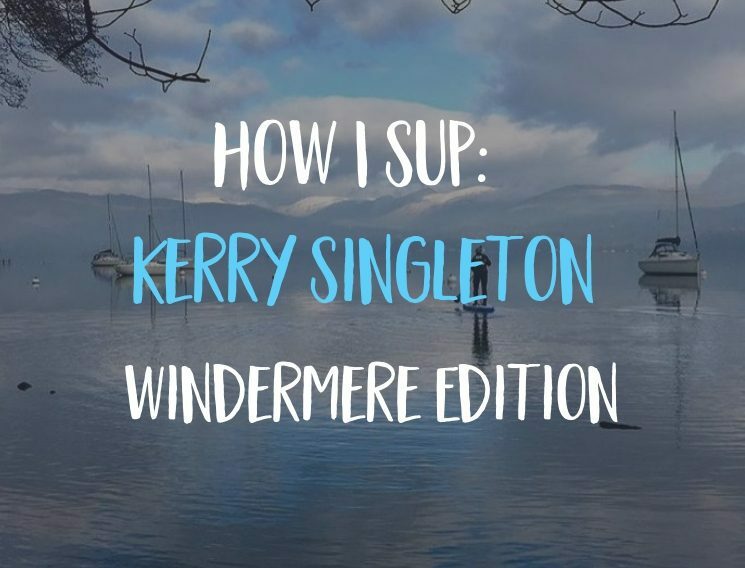 By the time you’re done reading you’ll be racing to SUP Windermere too! My first real encounter with a SUP was on a beautiful May day on Windermere. It was actually thanks to a failed trip to Lisbon with my sister to celebrate my 40th. The debacle started with our flight being cancelled at the gate and ended with us arriving home 12 hours after we’d left. Determined to make the best of it we booked a lovely afternoon tea at the Daffodil Hotel in Grasmere. We hired some SUP’s for the morning and I was immediately hooked. Even after the extremely shaky legged start (does everyone get that??!!) I managed not to fall in once. My second experience was on another beautiful Lake District gem – Lake Coniston. 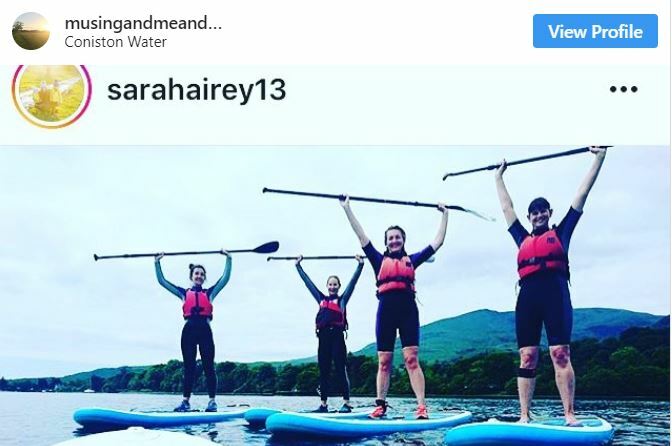 A group of my girlfriends booked a morning session with Lake District Paddle Boarding. We had an amazing time! We were in the midst of that dreamy prolonged sunny spell in 2018 and the conditions couldn’t have been better. The session was instructed and learning about technique unsurprisingly made me more efficient with the paddle. Getting around on the lake was immediately a lot easier. We practised some SUP yoga, did some games, messed about jumping off the boards and all in all had a fabulous few hours. Back to my 40th, my husband had promised to buy me some diamond earrings. We never got round to it and as Christmas approached I realised I don’t have much occasion to wear anything extravagant these days and I’d probably just lose one anyway. It occurred to me that I would much rather have something that would bring me more pleasure and less worry. Kerry enjoying her first time out on a SUP. Which, brings me to my 2018 Christmas list. I decided to take a chance and sneak a link to a Bluefin Cruise on there. I didn’t think for a minute that I would actually open one on Christmas morning! Imagine my surprise, delight and downright ecstatic excitement when I peeled back the wrapping and saw the Bluefin writing on the box. Straight away I knew I wouldn’t be able to wait for warmer weather to make my first venture out on my new board. Checking the weather a couple of weekends after Christmas I was in luck. There was a good forecast of sun and minimal wind, albeit cold. I tentatively proposed to my husband that we take the board up into the Lakes for its inaugural launch. Fortunately he’s accustomed to my slightly bonkers suggestions. He also shares my enthusiasm for getting out of the house at any opportunity. That Friday night we unpacked the board, had a read of the instructions and pumped it up for the first time. Easy-peasy. With beauty like this outside the front door it’s no wonder Kerry loves SUP! Sunday morning came and the weather forecast was spot on. That is until we got over the brow of the hill to drop down into Windermere. The lake is nestled into the bottom of the valley it seemed to be a lot foggier than when we’d left home. Nothing ventured nothing gained and we were nearly there anyway. We carried on the journey and boarded the little cross lake ferry, paid our £4.40, drove off and parked up on the west side of Windermere. The board is so easy to unpack and inflate and it’s ready to go in about 10 minutes. I wanted to know for sure that I could do it myself in case I ever have a day off from work with no children in tow. Pretty unlikely but you can live in hope! Even on the first go it was simple to inflate and I now know I can head out with it on my own when I have the chance. My next adventure out on my Bluefin SUP can’t come quick enough. 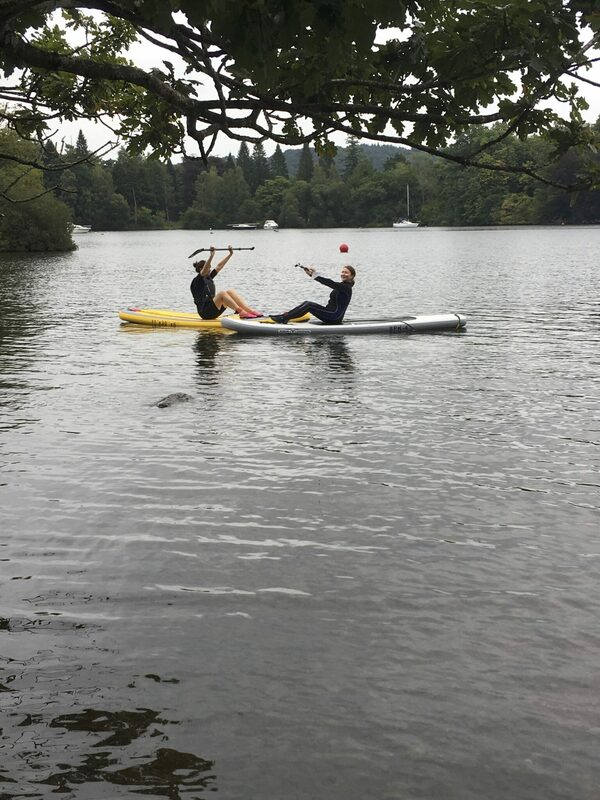 I’ve set myself a mental target of Sup’ing on all the lakes in the Lake District this year. That’s 1 down, 12 to go. 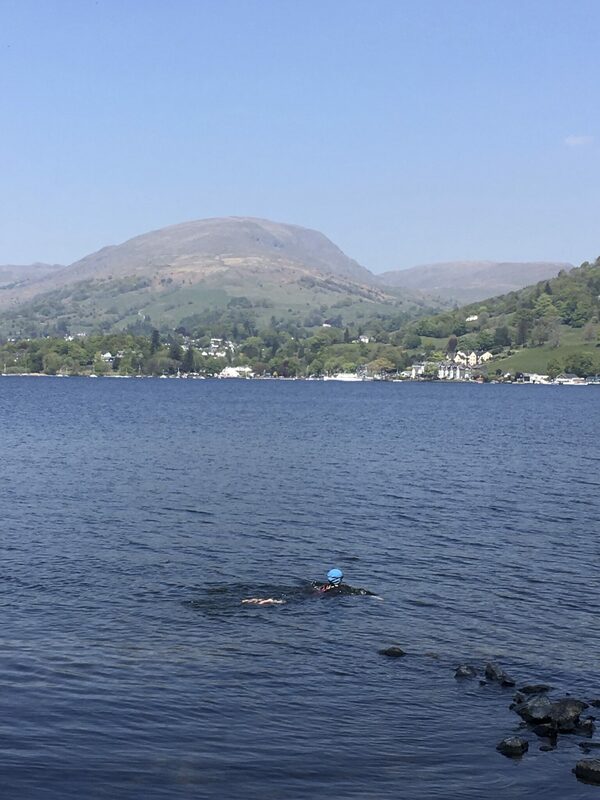 There are around 16 main bodies of water in the Lakes but not all of them are publicly accessible. Watch this space, follow my journey! Kerry Singleton, Physiotherapist, Pilates instructor, mother and standup paddleboarder. This entry was posted in Stand Up Paddleboarding, SUP Community. Bookmark the permalink.